The 2019 Chevrolet Corvette ZR1 was working out at the Nurburgring earlier today, but according to spectators doing their own lap-timing – the LT5-powered supercar is nowhere near the expected 6-minute range. According to people timing the cars from trackside, the 2019 Chevrolet Corvette ZR1 was lapping the Nurburgring Nordschleife in the range of 7 minutes and 12 seconds. This information comes from the Nurburgring experts at BridgetoGantry.com, who spoke with “avid carspotters based by (turn 13)”. Those same spotters recorded several laps by the new Porsche 911 GT3RS with the Weissach package in the high 6-minute range, with the quickest being a 6:56. I want to stress that this was no an official time for the 2019 Chevrolet Corvette ZR1 on the Nurburgring Nordschleife course. The 7:12 lap time was recorded by spectators at the track who were using their own method to measure the lap times for a variety of vehicles running “the Ring” on the morning of April 16th. Granted, these are likely people who spend a great deal of time at the track with their stopwatches, so these are people who have an idea of how to get a relatively accurate time, but nothing is as accurate as a proper on-board timing system. These numbers most certainly could vary from the official numbers, but with the news of this 7:12 lap time for the new Corvette ZR1 being discussed around the internet – we wanted to address what could prove to be far from the car’s best effort. As mentioned above, the unofficial times from the folks timing the cars in turn 13, the 2019 Chevrolet Corvette ZR1 turned in a best time this morning of 7:12. A time of 7 minutes and 12 seconds is about 7 seconds better than the C6 ZR1’s record of 7:19.63, but it is less than two seconds faster than the time turned in by Sport Auto magazine with the current Corvette Z06. The LT4-powered car ran a 7:13.90 with the magazine’s driver at the helm and without an official number from GM, the Sport Auto number is the best that we have to go on for the Z06. The 2018 Camaro ZL1 1LE ran a 7:16.04, so a lap time of 7:12 would mean that the new ZR1 is only 4 seconds quicker than the muscle car, even though the Vette weighs far less and has more than a hundred horsepower. The privateer effort with the 2017 Dodge Viper ACR turned in a 7:01.3, so this unofficial time by the new ZR1 is well behind its late cross-town rival from Dodge. While the lap time of 7:12 by the new Corvette ZR1 gives us something to talk about, this time is unrealistically slow. The LT5-powered Chevy must have gotten caught behind a slower car or run into rain on a distant portion of the track or had some other issue that caused it to run such a balmy lap time. With Sport Auto running a 7:13.9 in the current Corvette Z06 with 650 horsepower and 650lb-ft of torque, simply factoring in the extra power of the new ZR1 would almost certainly allow it to run more than 2 seconds faster. When you combine the extra 105 horsepower and 100 lb-ft of torque with the extreme aero bits of the ZR1 package, there is no way that the newest supercharged Corvette isn’t more than 1.9 seconds faster than the Z06. I’m not saying that the we are guaranteed to see a 6-minute lap from the Corvette ZR1, but I refuse to believe that the 755-horsepower Chevy supercar isn’t capable of running better than two seconds faster than the Z06 around the 12-mile road course. I personally expect to see something in the high-6-minute range, but anything slower than a 7:0X would make for a huge disappointment. 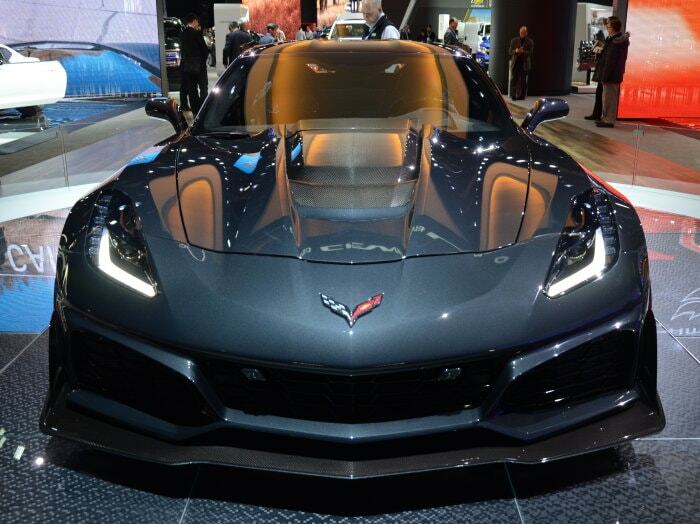 The good news is that the reports of this unimpressive lap time by the new ZR1 might lead Chevrolet to announce the actual best time for the 755-horsepower Corvette sooner than later. The Corvette ZL1 1LE has an unofficial 7:13.40. It wasn’t the declared lap. Sub 7 on the ZR1. Has to be. Get the Camaro with 10 speed and visit tuner, get that extra hp.